﻿ Cristiano Ronaldo: "I wish to win the Champions League again in 2015"
22.12.2014 » Ronaldo: "I wish to win the Champions League again in 2015"
Right in the morning after he won the FIFA Club World Cup for Real Madrid, Cristiano Ronaldo traveled to Madeira in order to attend a ceremony held in his honor. The Portuguese forward returned home to help unveiling a statue of his own figure and naturally also decided to speak a few words to mark the occasion. It's been a year full of success and joy for both Cristiano Ronaldo and Real Madrid and what better way to celebrate this weekend's last conquest than being welcomed in his hometown Madeira, by those who have always believed in him from the very the beginning of his football career. 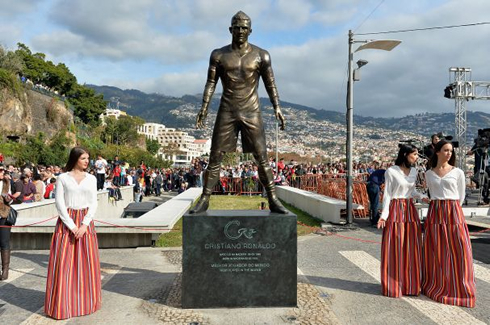 This Sunday, the 29-year old superstar saw his own statue being unveiled at the "Praça do Mar", in Funchal, and he was visibly a very happy man after witnessing the gesture that his hometown friends had decided to present him with. 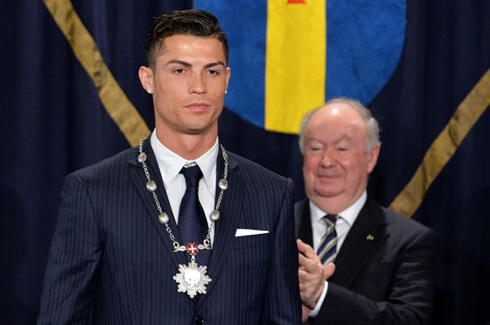 In a short speech during the ceremony, Ronaldo admitted that one of his biggest wishes for 2015 is to lead Real Madrid to another successful campaign in the UEFA Champions League, a competition in which the Merengues will have to face Schalke 04 in a couple months from now, at the last-16 round of the tournament. It's more often to see these kind of tributes being paid only when the honorees have already passed away. It sure wasn't the case with Cristiano Ronaldo this past weekend and he was keen to outline how he appreciates that these type of gestures are made while one is still alive. 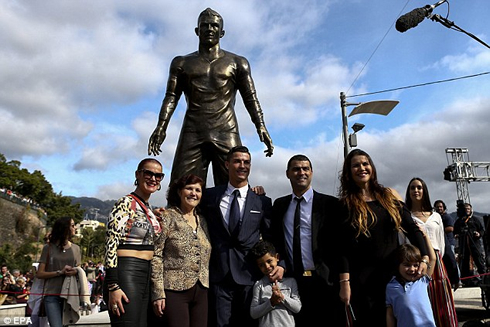 Cristiano Ronaldo: "I certainly never expected to be honoured with a statue, but just like I've repeatedly said to my son and my family in the past, I always prefer to see this happening when the honoree is still around, in order for him to be able to witness everything", started by commenting the Portuguese international in his hometown Madeira. Ronaldo: "This was where everything started for me. It's where I grew up and gave my first steps, both in life and in football, so basically I just want to thank my family for who I am today. Without them, I would have never accomplished the things I have nowadays", stated the former CF Andorinha, Nacional, Sporting CP and Manchester United player. 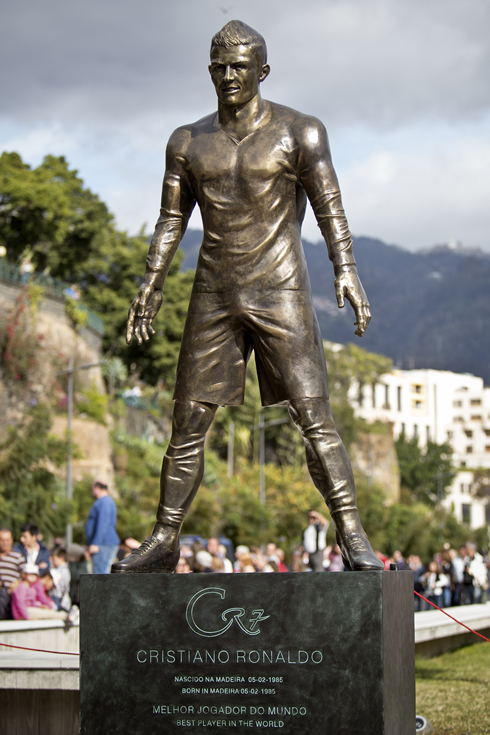 The all-new Cristiano Ronaldo statue that was unveiled in Madeira measures 2.4 meters, weighs 800kg and was made in nothing more than 10 days. 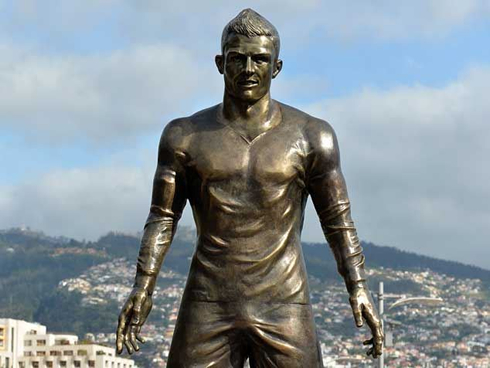 It was placed very near to Ronaldo's musem in the island, which was precisely opened roughly a year ago. 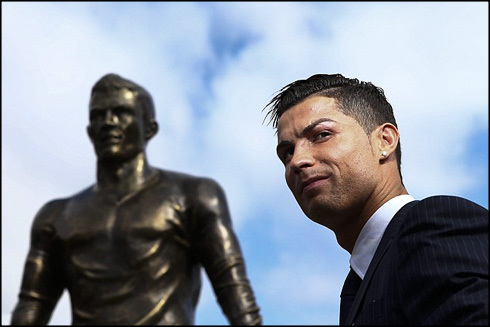 Ronaldo: "I think the statue even looks prettier than me! It's very well done and I like it a lot. It's always a pleasure to be back to Madeira, together with so many people that are very important in my life. 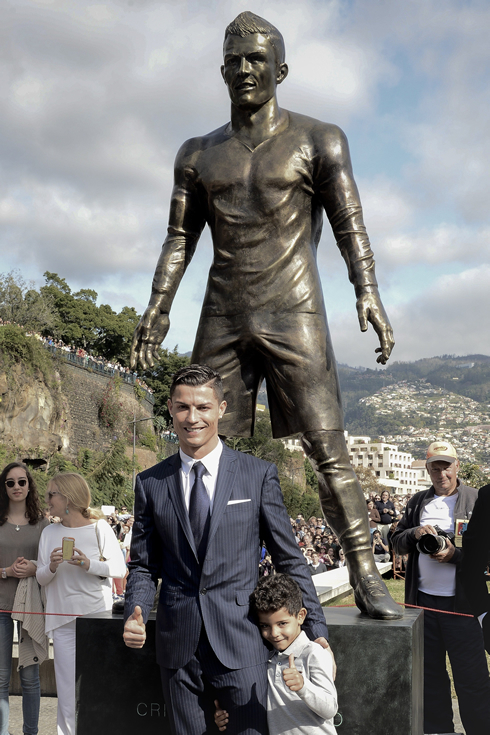 This whole thing has a truly special meaning to me and it's a privilege to be able to share this moment with the people from Madeira", noted the Real Madrid forward, when asked if he had really appreciated the way he was portrayed in a bronze statue. Cristiano Ronaldo: "For 2015, I wish that Real Madrid ends up winning every possible title, including the UEFA Champions League of course", remarked the 2014 FIFA Ballon d'Or candidate, when already talking to the Spanish media, right after the ceremonial speech. Cristiano Ronaldo next game will be a friendly international against AC Milan, on December 30. You can watch Juventus live stream, Real Madrid vs AC Milan, Burnley vs Liverpool, Stoke City vs Chelsea, Arsenal vs QPR, and WBA vs Manchester City, all matches provided from our soccer live section.